Spring is a busy season at the QCGN and this one has been exceptionally so. In April, the QCGN presented a brief to the National Assembly hearings on Bill 14 and went to Ottawa for the launch of the Roadmap for Official Languages, the federal government’s multi-year strategy which includes more than $1.1 billion in funding for a number of federal departments to support French-language communities outside Quebec and Quebec’s English-speaking communities. We also travelled to Ottawa to make presentations on proposed legislation requiring parliamentary officers to be bilingual, on Canada’s 150th anniversary in 2017, as well as on immersion programs. And, in the meantime, the Board of Directors and staff have been busy preparing reviewing and renewing our strategic plan and preparing for the Network’s annual meeting in Montreal in June. The QCGN, in partnership with its members and community partners, remains committed to defeating Bill 14, which is proposing wholesale changes to Bill 101 that would have a negative impact on English-speaking Quebecers. The QCGN and five of our member organizations – Townshippers’ Association, Federation of Home and School Associations, Regional Association of West Quebecers, Voice of English-speaking Quebec and the English Language Arts Network – attended the public hearings in the National Assembly to deliver a clear and unified message that Bill 14 is a solution in search of a problem. Along with other community stakeholders such as our educational institutions and partners, and municipal governments, the QCGN vigorously opposes Bill 14, both with the Committee on Culture and Education and the main political parties. We also made our case clear in the media. You can read our briefs and most of the media coverage here: insert missing link to press review. It is clear that the advocacy work that we conducted together as a community affected the positions of Quebec’s political parties, and has positively influenced the public debate on what we consider an unnecessary piece of legislation. In the National Assembly on April 30, 2013, Quebec’s three major parties (PQ, PLQ, CAQ) outlined their positions following the public consultations on Bill 14. It is satisfying to see that all three parties heard our community’s opposition to Bill 14. The Liberals remain completely opposed to the bill, the CAQ are willing to consider modifications provided their stated objections are addressed, and Diane De Courcy, minister responsible for French language, although solidly committed to Bill 14, signals a willingness to make changes to the legislation, and a certain level of empathy towards regional English-speaking communities. We will also be vigilant to ensure that measures cut from Bill 14 during the detailed study of the proposed legislation are not revived and inserted in other pieces of legislation unnoticed and unopposed. As a follow up to our appearance, the QCGN sent a letter to The Gazette on the complicated issue of counting Quebecers. QCGN director general Sylvia Martin-Laforge wrote that counting Quebec’s English-speaking minority population is a tricky business, because who gets counted depends on who is counting. The provincial government counts only those English-speaking Quebecers whose first official language is English while the federal government counts those whose first official language spoken is English. All of this is moot as long as the provincial and federal governments design policies that reflect the needs and diversity of our communities. Read the letter here. This is also an issue for Francophone minorities outside Quebec as was demonstrated in an article by Philippe Orfali in Le Droit. Lawyer Michael Bergman, who assisted in our presentation to the National Assembly, and I also reacted strongly to a letter by Quebec’s Delegate General André Boisclair who claimed in a letter to Time magazine that “Anglo-Quebecers enjoy one of the highest standards of living in the country and have access to a network of English-language medical, educational and social institutions.” Boisclair also commented that 35 years after the adoption of Bill 101, Bill 14 continues to respect the rights of the Anglophone minority “while ensuring the vitality of the French language and maintaining the delicate equilibrium between individual and collective rights.” You will find QCGN response to Boisclair's comment here. A follow-up letter from past Delegate General Reed Scowen on this issue appeared in La Presse. For his opinion, click here. As previously stated, the QCGN was in Ottawa for the launch of the Government of Canada's updated official languages strategy—the Roadmap for Canada's Official Languages 2013-2018.The QCGN was pleased with the Government of Canada’s renewed commitment to support the vitality of Quebec’s English-speaking minority community through the new Roadmap. The Roadmap sets three pillars – education, immigration and communities – which are major mainstays that lead to strong, vital communities that allow them not only to survive, but to thrive. However Quebec’s English-speaking community was once again left out under immigration programs. Omnibus policies like the Roadmap do not have a place to plug in at the provincial level, and so federal support to our community is funneled through sector-specific bilateral agreements such as health and education. While the English-speaking community of Quebec is experiencing an ever increasing interest from federal government institutions sincerely seeking ways to fulfill commitments towards our community, it takes imagination for federal institutions to fulfill their duty to take positive measures to enhance our vitality while respecting Quebec’s jurisdiction in areas like immigration. For example, in separate testimony before both the Senate and House Standing Committee’s on Official Languages, Citizenship and Immigration Canada officials have invoked the Canada-Quebec Accord as a reason why they cannot fulfill their obligations under the Official Languages Act to support the renewal of the English-speaking community of Quebec. We sent a commentary on this to the Hill Times which was published online here. The House of Commons Standing Committee on Official Languages has tackled a number of matters on which the QCGN has provided input. These include a study on Bill C-149, An Act respecting language skills; linguistic duality during the 150th anniversary celebrations of Canadian Confederation in 2017; as well as an ongoing study on second language immersion programs in Canada. Five years ago, as we prepared for our 15th Annual General Meeting, the QCGN decided to mark that important milestone by creating an award to celebrate our community and our many contributions to Quebec and Canadian society. Named for two exceptional individuals who embody the community commitment and leadership values the QCGN holds near and dear, the Sheila and Victor Goldbloom Distinguished Community Service Award, recognizes and celebrates individuals who have contributed to the vitality of Quebec’s English-speaking community and to building bridges of understanding between Quebecers of different backgrounds. This year, as we prepare to celebrate the fifth anniversary of our award, we are planning for a special celebration that will include some special treats, including a performance by Bowser and Blue. Emceed by Richard Dagenais and Camille Ross, co-anchors of Global Montreal Morning News, the awards ceremony will take place at Montreal’s St. James Club on Thursday, Oct. 17. We hope to receive nominations from all regions and all sectors of Quebec. To find out more about how to nominate someone for a Goldbloom Award, go to http://www.qcgn.ca/nominate-a-candidate. On June 14 and 15, QCGN member organizations will be getting together for our annual meeting. The central theme of the annual meeting will be how we can all act together to have a collective impact on our communities. This year’s convention will kick off with a seminar on Collective Impact sponsored by our Priority Setting Steering Committee (PSSC). Saturday’s annual general meeting, where we conduct the business of the Network, will be preceded by a policy forum where members will discuss the strategic direction of the QCGN. Member organizations will debate the renewal of the Network’s strategic plan as well as other policy issues such as how the objectives of Quebec’s English-speaking community are best served by the provincial government. Please do not hesitate to share any feedback about this newsletter with me at president@qcgn.ca. A little more than a year ago, some 200 enthusiastic members of our community gathered in Montreal to discuss and set priorities for the English-speaking community of Quebec at the community conference that launched our five-year Strategic Priorities Forum process. Looking back, it was an exciting moment where together we set a course to create and maintain more sustainable English-speaking communities. Looking ahead, we must all now work together to move those priorities forward to ensure vital English-speaking communities. After community consensus was achieved at the two-day conference, the Priority Setting Steering Committee, a standing committee of the Quebec Community Groups Network which is overseeing the Strategic Priorities Forum consultation process, prepared and publicly signed a “Declaration of the English-speaking Community of Quebec”. The Declaration identified six community priorities to guide their strategic actions. These priorities are: Access to Services in English; Community Building; Economic Prosperity; Identity and Renewal; Leadership and Representation and Strong Institutions. The committee is sponsoring the opening workshop of the QCGN convention on June 14 in Montreal where we will discuss how we can all act together to generate positive change for our communities. The workshop, which will focus on the concept of “collective impact as a framework for community change”, will bring together QCGN members, partners and stakeholders. Together we will discuss how the Network can best be a backbone organization that supports collective action and initiatives that will help us to move forward on our collective priorities to generate change and to ensure a more sustainable future for our English-speaking communities. As well, to help keep this process dynamic, the contents of committee’s webpage, have been reorganized to show our community partners what the Strategic Priorities Forum has accomplished to date. This link allows individuals and groups to demonstrate their support for our common community priorities in one quick click. Collectively we have defined the overarching priorities of our community of communities. We invite you to find out more by visiting our webpage and by encouraging other community groups and institutions as well as individuals to do the same and express their support for these priorities. The more demonstrable support there is for our community priorities, the more impact we will all have in influencing government and other partners to move forward on policies, programs and funding that support our needs. Though he is not militant regarding minority language rights, attorney Richard McConomy says that growing up in bilingual, ethnically diverse Montreal made him appreciate what he had and what he hopes to preserve. McConomy has also been the volunteer legal adviser to the St. Patrick's Day Parade for almost 40 years. Today, the former Bâtonnier of the Bar of Montreal and past president of the Family Law Committee of the Canadian Bar Association, who began his career in law in 1971, dove head-first into language rights issues as a member of the federally-backed Language Rights Support Program’s Panel of Experts. Created in June 2008 by the federal government, the LRSP works on three levels. It provides funding for “alternative dispute resolution” to individuals, groups or non-profit organizations that believe their constitutional language rights have not been respected; it may also provide funding for legal challenges when a test case is brought forward to help advance or clarify the law; and finally, it informs Canadians of constitutional language rights and promotes these rights. Based in Ottawa, the LRSP has an annual budget of $1.5 million. The nine-member panel of experts is comprised of four lawyers, three representatives from the Francophone and Acadian minority community, one representative from the Anglophone minority community and one representative specializing in alternative dispute resolution. The panel of experts plays a crucial role in implementing the LRSP and in its ongoing activities. Among its roles and responsibilities is to: select files to be supported by the program based on expert knowledge of the state of law, communities needs and program guidelines and objectives; provide guidance and funding parameters for the three program components; and advise with respect to the budget allocations for the different components of the program. It also provides advice on appropriate communication and collaboration mechanisms to ensure on-going links to the communities and provides guidance and feedback to the staff. 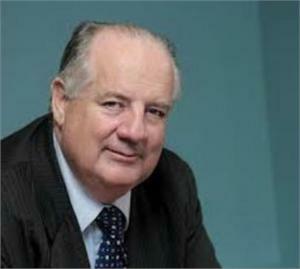 In 2008, McConomy founded the Richard McConomy Conflicts Resolution Centre, which focuses on solving disputes through mediation. Since 1988 he has helped train more than 1,000 mediators in Canada, the United States, Belgium and France. While encouraged with the efforts of Francophones in the rest of Canada in getting, maintaining and even expanding their language rights, McConomy is not impressed with how the government is limiting Anglophone rights here in Quebec. Even at an early age McConomy’s world was filled with friends who spoke la langue de Molière. Whether it was regularly riding with his mother to St-Denis Street, attending mass in French or accompanying a cute Francophone girl to her Pointe-aux-Trembles home, the young McConomy experienced all that a bilingual Montreal had to offer. Today, McConomy, who was recommended to the LRSP by the Quebec Community Groups Network, is afraid Montreal may be losing its soul. “The reality in Montreal is that when you start at either end of the city you are either in English or French,” he says, explaining that government initiatives to protect the French language have caused linguistic tensions to show their ugly heads again. “The problems start when you move toward the middle. Montreal is being governed by people who weren’t raised here. They don’t know the reality here. They didn’t have a Pointe-aux-Trembles girl to accompany home following a school dance." Having experienced the introduction of Bill 22, the October Crisis, the rise of the Parti Québécois and major changes in education, McConomy doesn’t like where the battle for Anglophone rights is going. But he’s willing to work at it. This is the second in a series of articles about QCGN stakeholders. Building Research Capacity Related to Quebec’s English-speaking Seniors, the provincially funded research project being coordinated by the QCGN in partnership with the Quebec English-Speaking Communities Research Network (QUESCREN), is gearing up for an exciting few months. But first, here is a quick snapshot of what we’ve been up to in the last three months. In March, lead researcher Dr. Joanne Pocock completed the project design document that will structure our work over the next two years. The design is built around three key research priorities that were chosen by the steering committee in December of 2012. The priorities are: language barriers in communicating with, and accessing the information provided by public institutions and agencies; social support networks and living conditions in the communities in which English-speaking seniors reside and; best practices and models for creating “an effective voice” for Quebec’s English-speaking seniors going into the future. In April, the project design document was circulated to a panel of experts comprised of university researchers, community practitioners and government policy specialists. This step was intended to help us identify any outstanding gaps or needs in our research plan. The feedback we received from our experts was fruitful. As a result, we were able to revise the project in a way that is more targeted and attentive to the realities “on the ground” for English-speaking seniors in the administrative regions where we will be working. We are grateful to have had the participation of, among others, Richard Walling at Jeffery Hale and Mary Richardson at Institut national de santé publique (INSPQ) during this important stage of project development. Now that we’ve got our project design document pinned down, we are moving forward with the research itself. Our project will be building an evidence base on the situation of English-speaking seniors in Quebec using a multi-sited approach to data collection. This means that information will be gathered using a literature review, a statistical profile, surveys, interviews and case studies. Our research team has already begun working on the literature review. 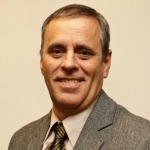 Last week, Dr. Pocock started building a provincial statistical profile of Quebec’s English speaking seniors across Quebec’s 17 administrative regions. In addition to drawing on demo-linguistic and household survey data, the Community Health and Social Services Network (CHSSN) have agreed to partner with our project in a request to Statistics Canada for specific data from the 2011 Census of Canada. The statistical profile is expected to be completed by the end of June. We are also getting the ball rolling on recruitment and training of “seniors researchers”. Over the next few weeks, we will be reaching out to QCGN member organizations who, along with our project steering committee, can help us identify 10 seniors who meet a set of criteria and will be trained to assist with the surveys in the following regions: Capitale-Nationale; Estrie; Montreal; Outaouais; Gaspesie-Iles-de-la-Madeleine; Laval; Laurentides; and Montérégie. We will be looking for three researchers in Montreal, and one researcher per region for the other regions. The trained researchers will be carrying out approximately 400 surveys in these eight regions – a minimum of 50 surveys per region. We anticipate the training will be completed by the end of June, and surveys will be finalized by the end of August. Website: Our project website will be up and running before the end of May. It will be linked directly to the main QCGN website. There you will find a basic overview of the project – including the background, objectives, priorities and methodology. More information, pictures and stories will be added as the project moves forward. Be sure to check us out and follow our progress online. Networking and building research capacity: We are pleased to announce that together with Seniors Action Quebec, members from our project will be attending the World Health Organization’s (WHO) second international conference on Age Friendly Cities in Quebec City next September to present some of our preliminary findings. This will be an exciting opportunity to foster networking and improved contacts among seniors, government and policy makers, researchers and community members, and to promote greater awareness of the situation facing English-speaking seniors in Quebec. The English Language Arts Network (ELAN) will intervene in CRTC licence renewal hearings for Vidéotron this summer to ensure that Quebec’s English-speaking communities are well served on cable television. Since Vidéotron bought CF Cable in 1997, there has been no English-language community-based TV outlet to serve Montreal’s 600,000 Anglophones, although the Canadian Radio-television Telecommunications Commission provides for the funding of such a community initiative in its regulations. 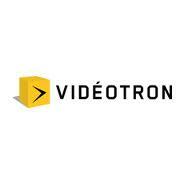 This summer, Vidéotron’s Montreal-area cable television licence expires. The CRTC will be holding licence renewal hearings to review Vidéotron’s future plans for its cable operations. The last time Vidéotron’s licence came up for renewal, the English-speaking community was silent. And because of that silence Vidéotron had no incentive to provide such a service, although we are already paying for it as part of our cable fee. The English Language Arts Network (ELAN), a member of the Quebec Community Groups Network, is preparing to intervene at the licence renewal hearing to request that a condition of licence be placed on Vidéotron that would provide for the funding of an English-language community television station to complement MATV, Vidéotron’s French-language community TV channel. Why should you care about a new community media voice? Cathy Edwards, of the Canadian Association of Community Television User Groups and Stations (CACTUS) agreed. “Community media provide training centres where individual Canadians, small businesses, and community organizations can learn about the latest tools, and get their messages out,” she said. The success of this initiative depends largely on the support of the community. If you support the establishment of an English-language community television channel, ELAN is seeking your support. ELAN is hosting a community meeting and will be organizing a petition and soliciting letters of support to the CRTC. All of the details on the initiative, the upcoming community meeting, and how you can support the project are on the Facebook page at www.facebook.com/MtlCommunityTV. If you have any questions, contact ELAN at Sara@Quebec-elan.org. 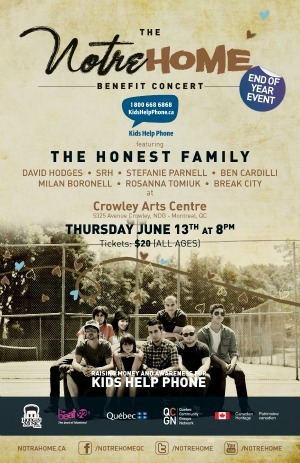 Linked to the QCGN Convention to be held June 14 and 15 in Montreal, David Hodges and members of his band, The Honest Family, will be presenting a Benefit Concert for Kids Help Phone that will mark the end of the Notre Home Tour. The event will take place at the Crowley Arts Centre (5325 Avenue Crowley, Montreal) on June 13 at 8:00 pm. Tickets are $20. To purchase tickets, click here. For any further information, please contact Roseline Joyal-Guillot at 514 868-9044, ext. 257. While 4-H groups across the country are commemorating their 100th anniversary, Quebec rural youth are also celebrating a centennial. “It’s rare organizations endure for 100 years and it’s important to recognize such an accomplishment,” said Mathieu Couture, president of la table de concertation de la jeunesse rurale du Québec, noting that it is essential these organizations continue to exist as they help youth network and develop important like skills and learn about Canadian parliamentary procedure. Couture, who is also president of Quebec 4-H, said there are many activities underway to celebrate the anniversary such as a video contest where rural youth express why they love agriculture. The various organizations are also hosting their own activities, for example Quebec 4-H is holding a reunion in the fall and is working on gathering its history throughout the year. Couture said the Quebec National Assembly will pass a motion that states the government supports the rural youth movement. The celebration is uniting three rural youth organizations in this province: Quebec 4-H along with its francophone peers: the Association Jeunesse Rurale du Québec and Fédération de la réleve agricole du Québec. Couture said it was essential to include every Quebec rural youth organization in the celebration, including Quebec 4-H and that it’s not only about language. It was more important to him to introduce the organization to the community, because it is quite different from the rest. Clubs from the different organizations are starting to work together. 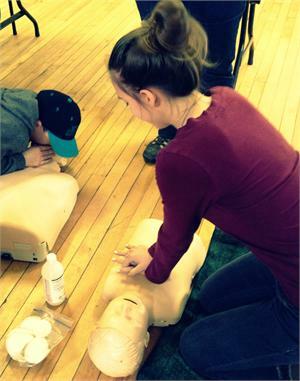 The Brome 4-H club is partnering with two similar Francophone organizations in their area to have a Farm Safety Day. Annie Grubb, leader for Quebec 4-H’s Brome club, said it is important for the organizations to maintain a good relationship because they work in the same region and have similar missions. Grubb said events such as Farm Safety Day are important because there are too many accidents that happen on the farm and teaching children proper protocol could help avoid dangerous situations. The more people who attend the event, regardless of which language they speak, could mean a safer farm environment. The partnership is also helpful in other ways. For example, while the Brome 4-H club was struggling with low membership, it partnered with Francophone organizations (Granby and Rouville AJRQ clubs) for its annual achievement day, a time when all the members gather to show off their hard work of the season. “By doing this, it really helped the Brome 4-H club have a large and successful achievement day when our membership was low,” said Grubb. Charles Gascon learned most of his English from joining a bilingual 4-H club at a young age. He noticed when everyone was comfortable with each other they would practice using their second language. This continued and eventually the club was able to hold bilingual meetings. “The meetings were absolutely interesting to watch,” said Gascon. “Everyone could easily switch from one language to another. It wasn't an issue anymore.” He also said the various exchanges within Canada offered by 4-H forced him to practice speaking English, thus making him more comfortable with the language. Couture points to the celebrations’ motto: headed for tomorrow. They use the past as a springboard for the future. He said it is important there be a platform to demonstrate the rural youth movement’s passion and desire for agriculture that will persist for another centennial. 4-H'ers stand with Graham Fraser, Canada's Commissioner of Official Languages, at the National Conference in November. You're receiving this newsletter because you are a member or important stakeholder of the QCGN or have signed up for our Daily Briefing or other news.